There is a huge problem and it scares me when I see the ill fate that awaits our next generation. I feel we must fix this problem now before it is too late. The world is evolving very fast into something we may not be able to control and the key player of this is — technology. There is an agenda behind the current advancement in technology and the speed with which this is happening is quite alarming. Everything is happening with photons speed because of what’s coming. For this agenda to thrive, they’ve strategically manipulated (and are still manipulating) those who are vulnerable — the present young people (between the age of 5 to 25). They are convinced that this young demographic is easily captured to push their agenda beyond expected success because they’re the section of the population who are locked up in ignorance. The young demographic is moved by what they see and feel, and really do not think into what’s going on. They are mostly guided by their emotions instead of their reasoning. There is just one strategy with an undeniable promise of success to lure them, and that is, a kind of technology that brings them so much excitement. You, of course, know what it is. The real difficult part of this is when you try to educate them on the danger of this ‘excitement’, you automatically create monsters. As much as you make them see the glaring consequence of this excitement, they’re willing to embrace the effect and live with it. The truth is, technology has deeply become a huge part of us and is now inevitable in our cultural makeup. We want to stay informed, communicate with loved ones, do things with less (or no) effort, and become more efficient in our works. Apparently, the only answer to these needs is technology. It is no doubt that technology has really helped us to achieve more. Technology has truly made life so easy for us. The revolution of the information and communication technology has in the past 15 years made tremendous progress and influenced everything. The world feels like a small community. We can not completely quantify the positive impacts technology has made in our daily lives. However, we are paying with our health and lives. The adverse effects of technological advancement are catastrophic both to our culture and our planet. It is now obviously leading to one place — an agenda to replace humans with machines, the age of technological singularity; to reduce the world’s population through weather weaponization, and to gain absolute control over every individual irrespective of their location. We are daily exposed to radiations from mobile phones and wireless network which is highly carcinogenic. The country is being brainwashed and they are no longer thinking analytically. What we once considered abnormal is now the norms. The governments are imposing policies and laws which totally have no moral values. They believe the increase in the world’s population is exerting too much pressure on the planet. Humanity is faced with an enormous threat than we can ever imagine and the facilitator of this agenda is the use of technology. It’s no news that Artificial Intelligence (AI) is rapidly creeping into our lives. Singularity in AI is becoming a fact as our society is gradually embracing it. Elon Musk and other AI entrepreneurs demanded a global ban on killer robots, warning technological advances could revolutionize warfare and cause the killing of innocent people. Artificial Intelligence is a ‘pandora’s box’ that must not be opened. Stephen Hawkings and several others have made this warning. The discovery of the Higgs boson which several scientists celebrated came with a devastating threat. Stephen Hawking’s response, “The Higgs potential has the worrisome feature that it might become metastable at energies above 100 [billion] gigaelectronvolts (GeV). This could mean that the universe could undergo catastrophic vacuum decay, with a bubble of the true vacuum expanding at the speed of light. This could happen at any time and we wouldn’t see it coming.” What if this technological discovery falls into the wrong hands? 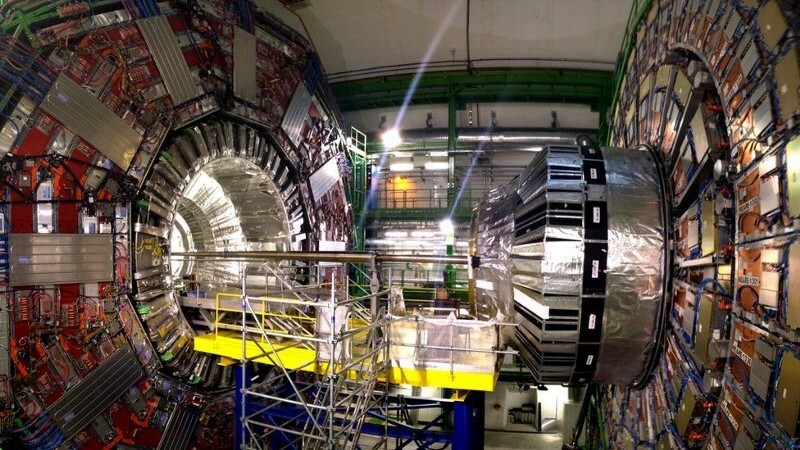 A top scientist at the Large Hadron Collider (LHC) says that the titanic machine may possibly create or discover previously unimagined scientific phenomena, or “unknown unknowns” — for instance, “an extra dimension”. “Out of this door might come something, or we might send something through it,” said Sergio Bertolucci, who is Director for Research and Scientific Computing at CERN. Some extremely strange phenomena are expected when someone crumples space and time in this respect. Dr. Mike Lamont confirmed that they’re hoping to see supersymmetry and extra dimensions. What if we’re already experiencing some sort of attack or manipulation from a hyperdimensional entity as a result? Something strange is already happening in our world. Our world feels like we’re living in a matrix system. There are possibilities that someone has opened a Pandora’s box. Do not hesitate to share any unusual events happening around you as we are in the times. Some parts of the world would experience unusual climate conditions and strange weather.